This blouse is cut for a loose fit with voluminous sleeves. It’s finished with beautiful flared cuffs which are fastened with drawstrings in place of traditional buttons. The blouse ties at the neck with a drawstring which is nicely finished with a gold accessory. 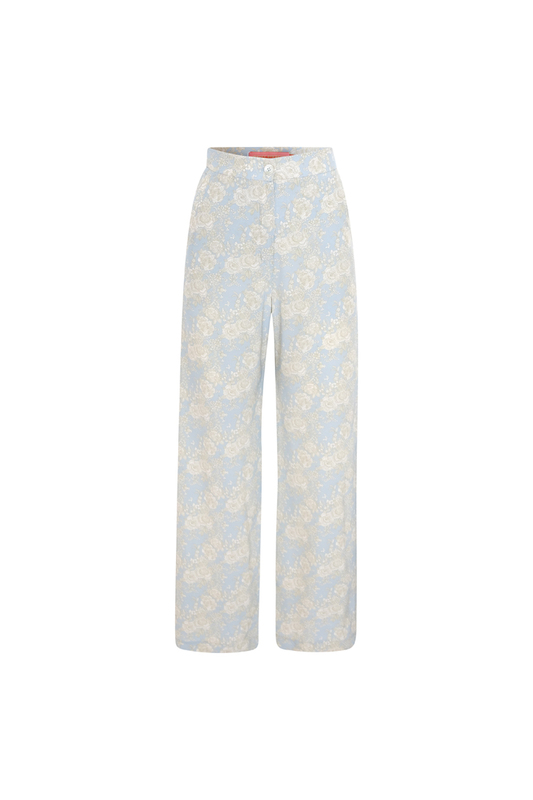 Here cut from a delicate crepe de chine in blue patterned with a pale lime floral print. Wear the blouse tucked into our Kundera pants in matching color to get the complete look. Dry clean only. Model photo for fit only, model is wearing size 36.